Solange Knowles attends the 70th Annual Parsons Benefit on May 21, 2018 in New York City. Sorry kids, it looks like “Sol-chella” is indefinitely postponed. 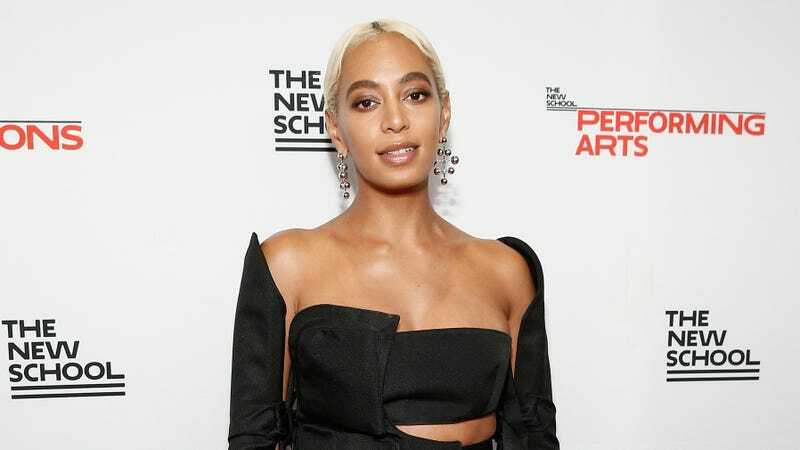 Citing “major production delays,” Variety reports that Solange’s scheduled headlining appearance will not be going on as planned, as tweeted by Coachella’s official account on Sunday. “Due to major production delays, Solange will unfortunately no longer be performing at this year’s festival. She sends her sincerest apologies, and looks forward to performing at Coachella in the future,” the tweet read. This year’s Coachella appearance in Indio, Ca. would’ve been Solange’s first performance at the festival since 2014 (not counting that epic dance-off with sister Beyoncé last year), and her first as a headliner of the event. The scheduled appearance was both highly anticipated by fans and her biggest to date since the release of her latest album, When I Get Home. No further comment was given by Solange as of press time, but we will update this story as needed. In her absence, looks like we’ll just have to settle for reliving Beychella with Netflix’s Homecoming, out on April 17.